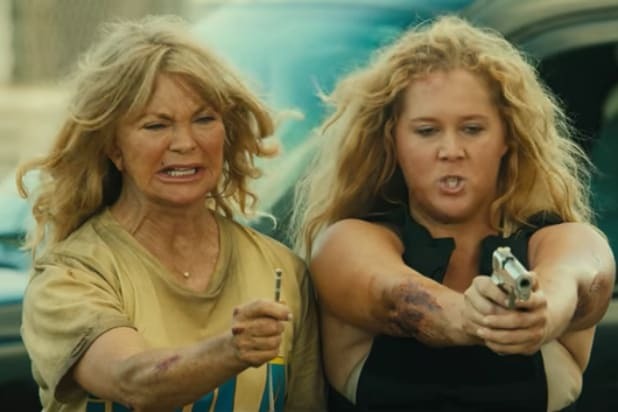 Goldie Hawn’s anticipated return to movies comes this year in the Amy Schumer comedy “Snatched” — and 20th Century Fox used that momentum to open their Thursday CinemaCon presentation. Hawn and Schumer woke up the convention of American theater exhibitors on its last day with some solid mother-daughter shtick. Schumer explained the premise of “Snatched” is a young woman, dumped by a musician, enlists her mother for a South American vacation she’s already paid for. “I play Emily, who is very beautiful and very thin, but you’re not ‘worried about her’ thin,” she said. Schumer wrote a bit for Hawn, who has been absent from cinema for a decade-and-a-half, where she was supposed to pretend she’s never heard of the raunchy Comedy Central star. Hawn would not play ball, and instead gushed over Schumer. “You are the girl, you are my baby — you can’t come back after 14 years and just do anything,” Hawn told Schumer. “A date, bring your kids, really old people? They’ll watch anything,” Schumer said. The men of "Baby Driver" -- from left, Ansel Elgort, director Edgar Wright, Jon Hamm -- revved up their action flick a bit early for exhibitors. The Sony Pictures film will now open June 28, as opposed to a planned Aug. 11 rollout. Marvel Pictures czar Kevin Feige arrives to hype the Sony Pictures release "Spider-Man: Homecoming." Peter Parker himself, "Spider-Man: Homecoming" star Tom Holland, hits the CinemaCon 2017 stage. "Spider-Man: Homecoming" producer Amy Pascal (left) hugs writer-director Jon Watts during the Sony Pictures CinemaCon 2017 opening night presentation. "Jumanji" stars Nick Jonas (left) and Dwayne Johnson greet on stage at Las Vegas' CinemaCon 2017. Marvel Films head Kevin Feige (left) greets Sony Pictures Motion Picture Head Tom Rothman at CinemaCon 2017. Jack Black (far left), Karen Gillan and Nick Jonas of Sony Pictures' "Jumanji" hit the stage in Vegas. 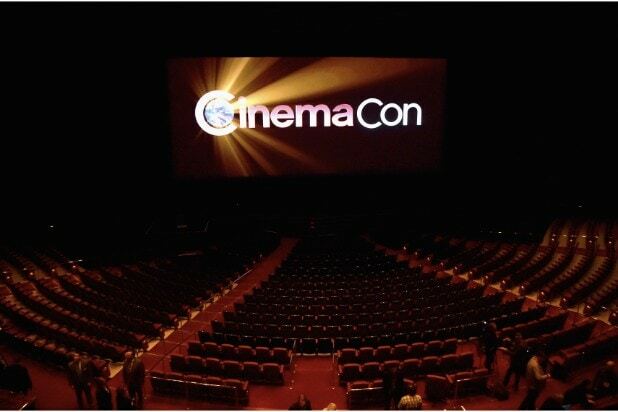 Kevin Hart (on screen) appears via satellite with his cast members (from left) Jack Black, Karen Gillan, Nick Jonas and Dwayne Johnson to promote "Jumanji" at CinemaCon 2017. Cara Delevingne and Luc Besson attend the STX CinemaCon 2017 presentation to promote "Valerian and the City of a Thousand Planets." Cara Delevingne cuts a stylish figure at CinemaCon. Mila Kunis, of "Bad Moms Christmas," attends the 2017 STX CinemaCon presentation. Actor Mark Wahlberg and director Peter Berg bring their "Mile 22" to CinemaCon with STX. Director-writer Aaron Sorkin brings his "Molly's Game" leading lady Jessica Chastain to CinemaCon. Aaron Sorkin and Jessica Chastain will release their film, about an illegal poker ring in Hollywood, this fall. Also Read: Jessica Chastain’s ‘Molly’s Game’ Looks Winning — But Where Are Real-Life Star Gamblers?